Killing Floor 2 is the successor to the ridiculously fun and successful original title released in 2009. Players descend into continental Europe where the outbreak caused by Horzine Biotech's failed experiment has quickly spread and gained unstoppable momentum, essentially paralyzing the European Union. Just one month after the conclusion of the events in the original Killing Floor, the specimen clones are everywhere and civilization is in disarray; communications have failed, governments have collapsed, and military forces have been systematically eradicated. The people of Europe know survival and self-preservation too well and lucky survivors have gone into hiding. Not all have given up hope though... A group of civilians and mercenaries have banded together, paid for by Horzine, to combat the outbreak and established privately funded operation bases across Europe. Upon tracking specimen clone outbreaks, players will descend into zed-laden hot zones and exterminate them. 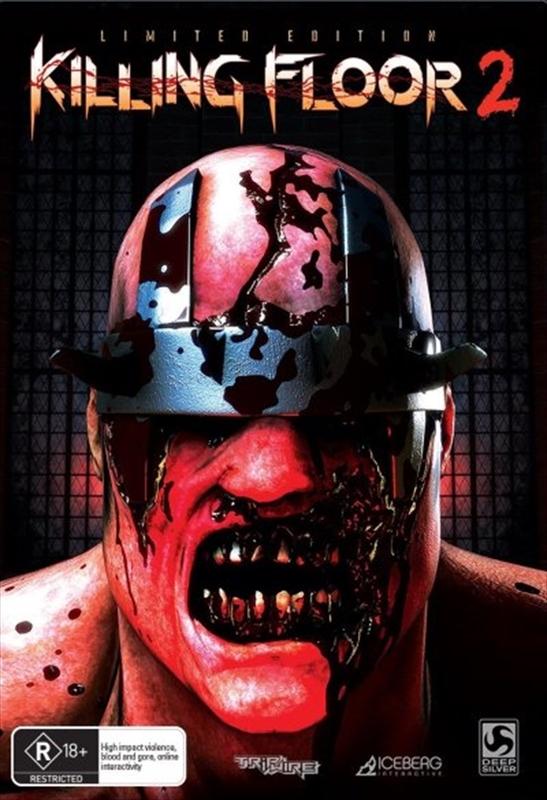 Terrifying Zeds - New enemies and fan favorites from the original game are back with expanded and smarter artificial intelligence, dishing out powerful attacks, attacking in mobs to weaken the player's party and pushing the challenge level and fear factor to new levels. New take on "Difficulty" - Most games just ramp up health and damage for the enemies. In Killing Floor 2, the Zeds will start to behave differently as you work through the difficulty levels. New attack moves. New ways to get at you. New strategies. Be prepared for surprises! Unique Blend Of Weaponry - Modern military assault rifles, brutal improvised makeshift weapons, classic historical guns, and off the wall "Mad Scientist" weapons, Killing Floor 2 has a unique blend of killing tools that will satisfy any gamer. SDK - as always with our games, the tools to create maps and so much more!